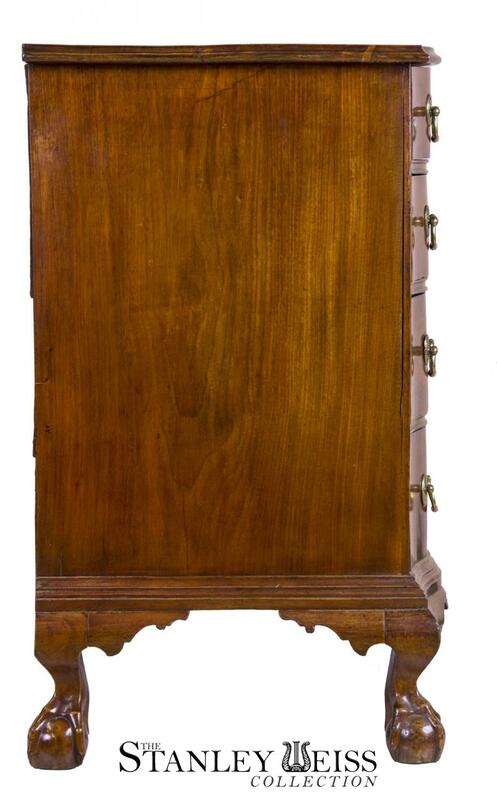 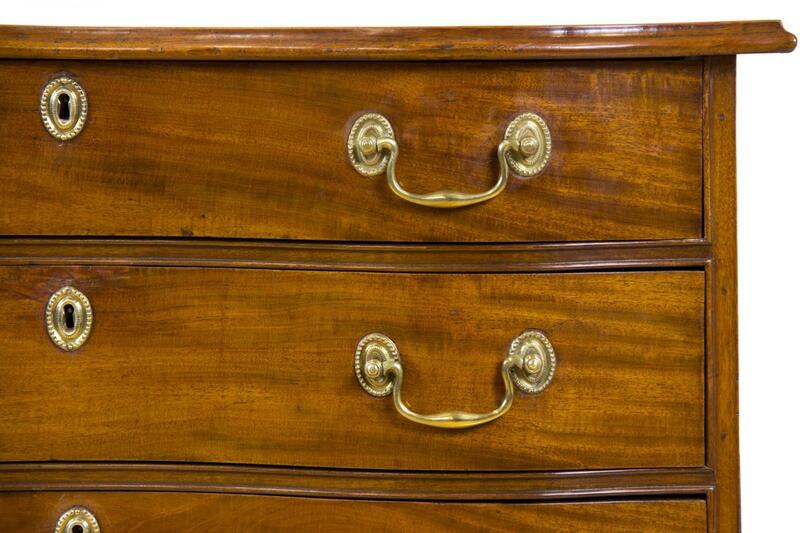 This chest is compact, 34 in. 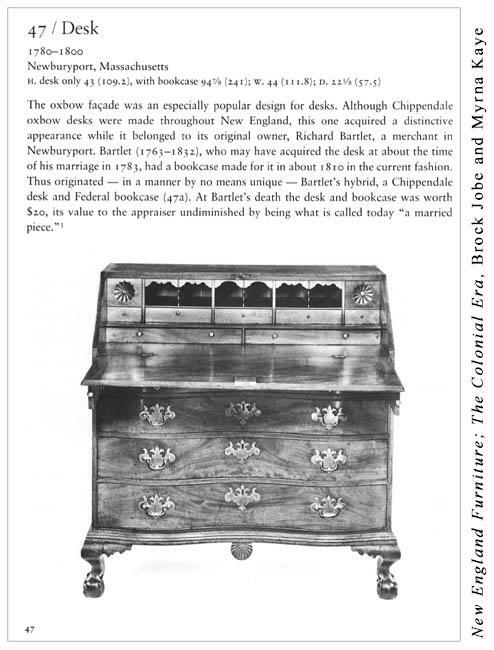 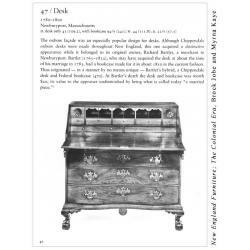 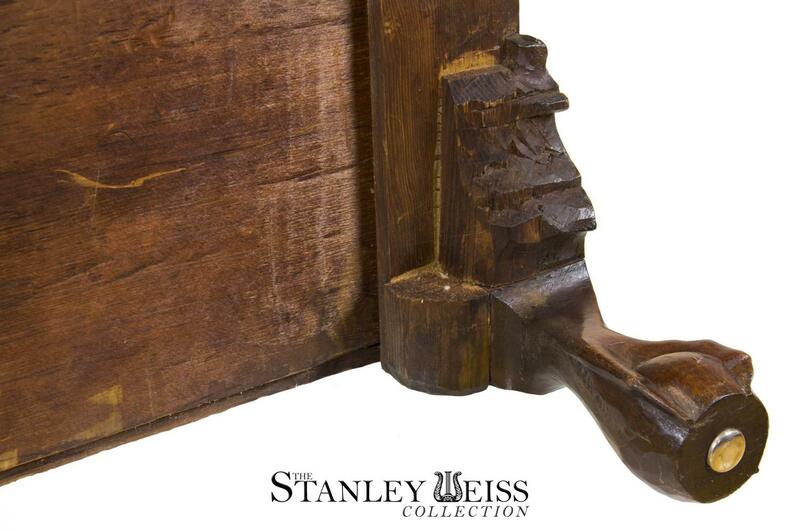 wide, with a close conforming top and is elevated by four claw and ball feet, which are typical in style to those coming out of Boston at that time (see the attached scan for an oxbow desk from Newburyport, in New England Furniture: The Colonial Era, by Brock Jobe & Myrna Kaye). 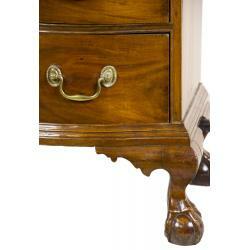 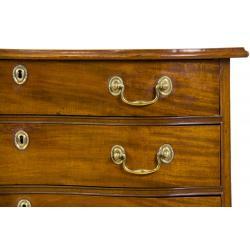 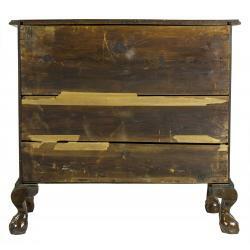 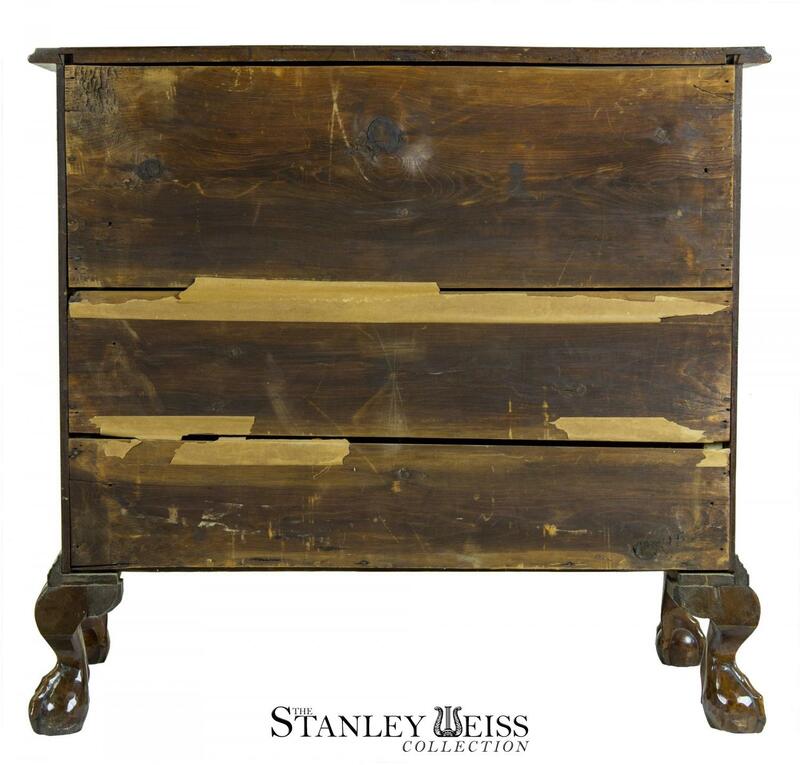 The drawers are graduated in size and the height of the chest (34 in.) 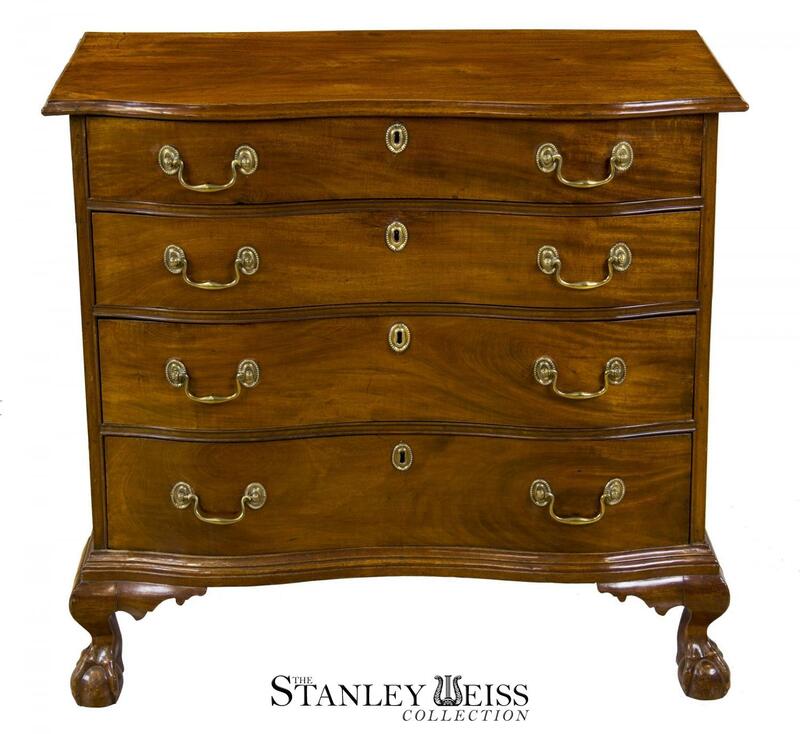 is somewhat above standard, which is highly desirable, and gives a compactness to the entire chest. 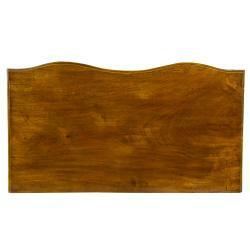 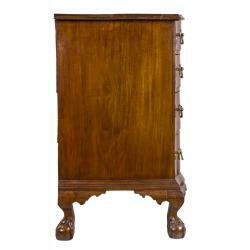 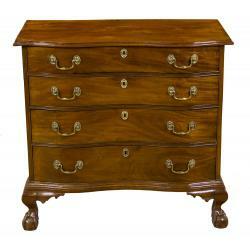 The mahogany retains a beautiful amber glow which has developed beautifully through the years. 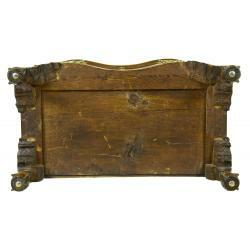 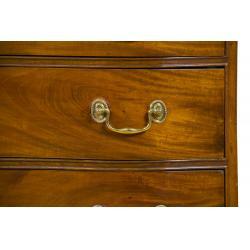 The brasses are original, and this is a piece in superb condition with no repairs or alterations. 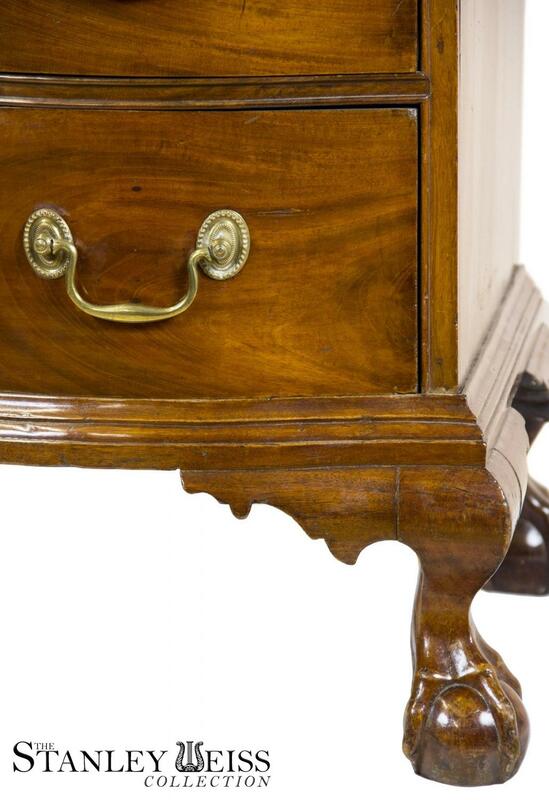 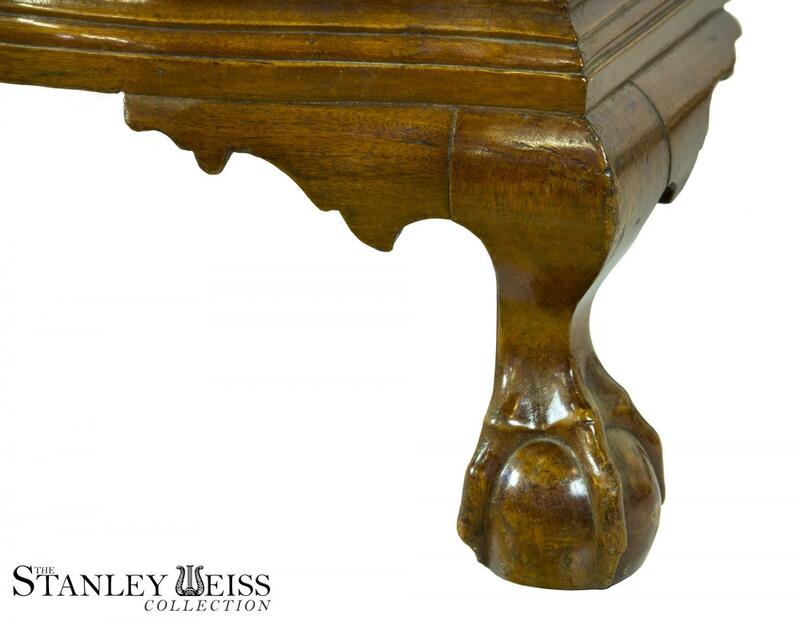 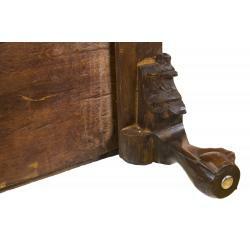 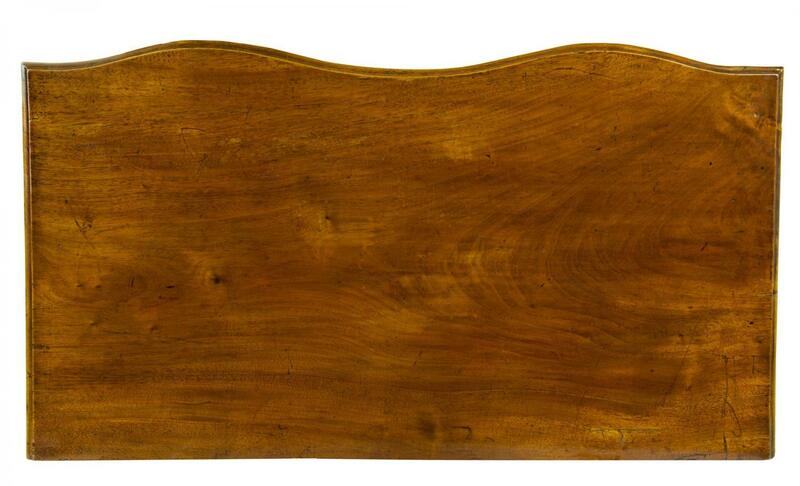 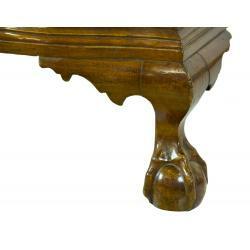 It’s a particularly clean and pure example of the form with the oxbow shaped front, each drawer being chiseled out of a large block of mahogany. 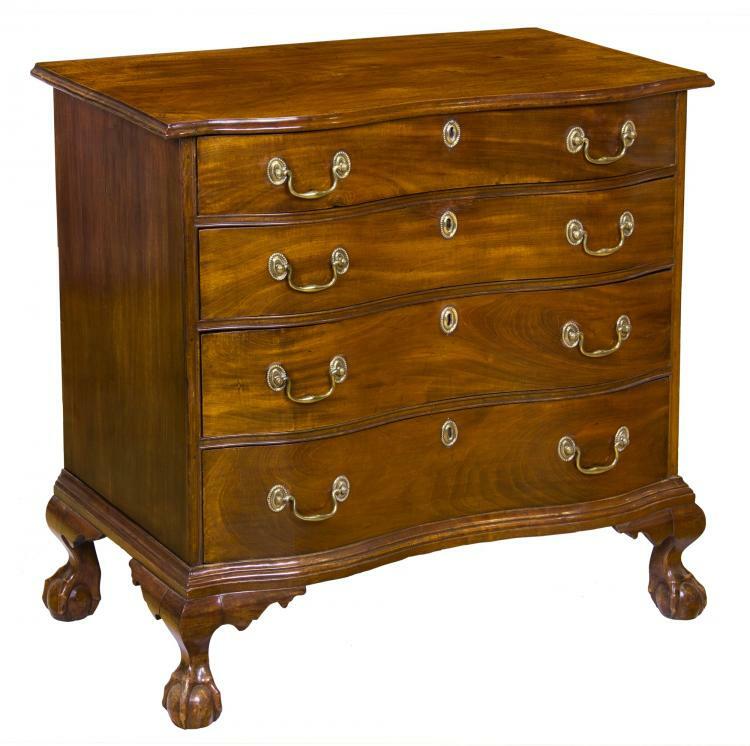 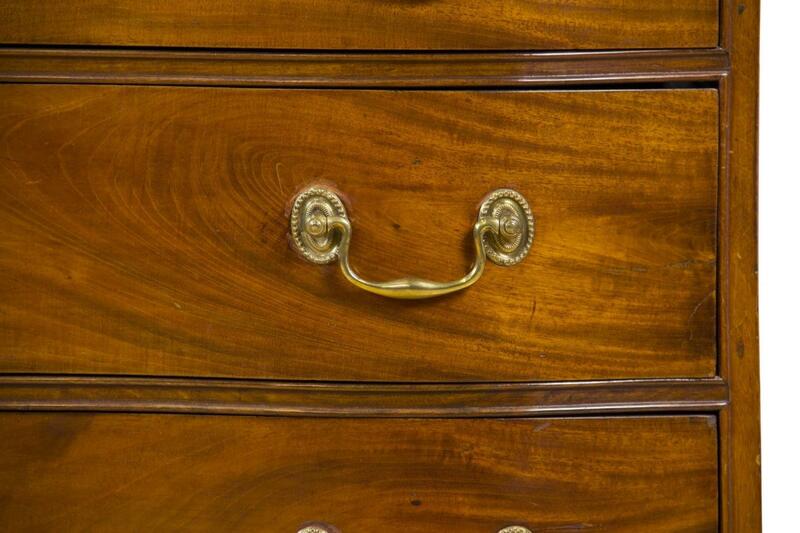 This was an expensive chest to produce, but popular as it provides a pleasing and substantial countenance in a small package. 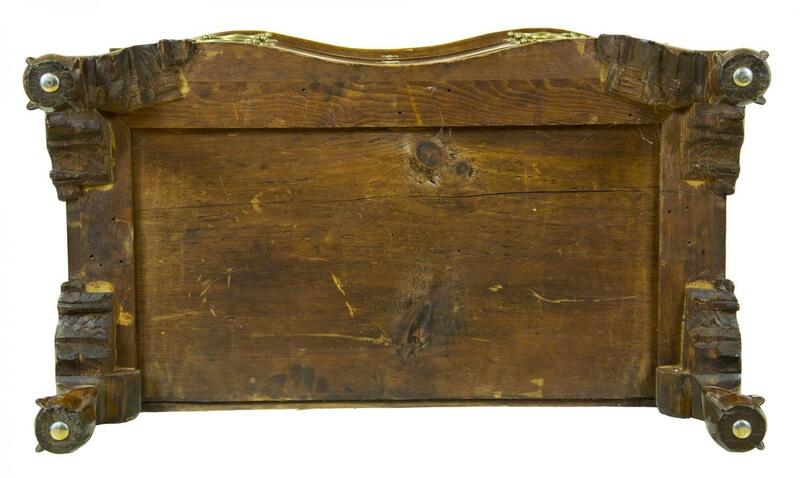 Case Width: 34 1/4 in.